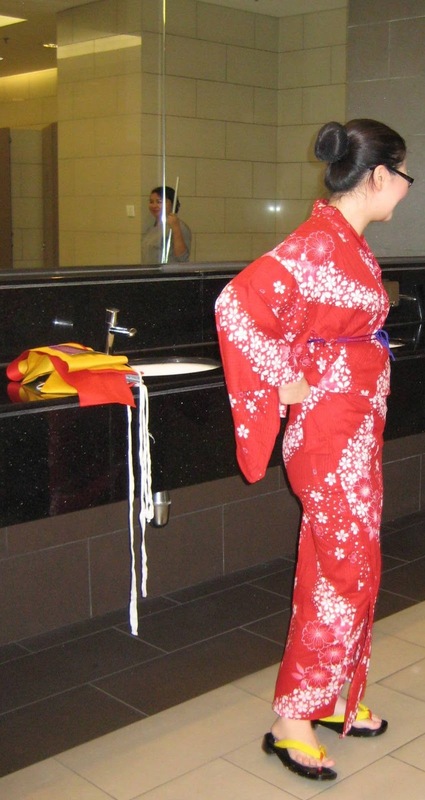 First task is to learn how to wear Yukata… this was a challenge. 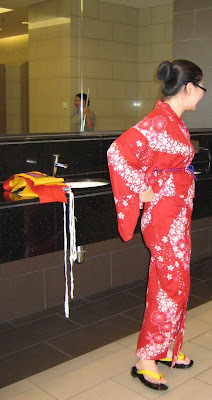 We are given the instruction sheets on how to wear and tide Yukata. Well, this is the traditional Yukata, not the modern type. I don't really know how, lucky we have teachers to guide us how to wear it the right way. Then, we were given a list of tasks to accomplish. There are 9 locations Fun Trivia that we have to complete in fastest time. 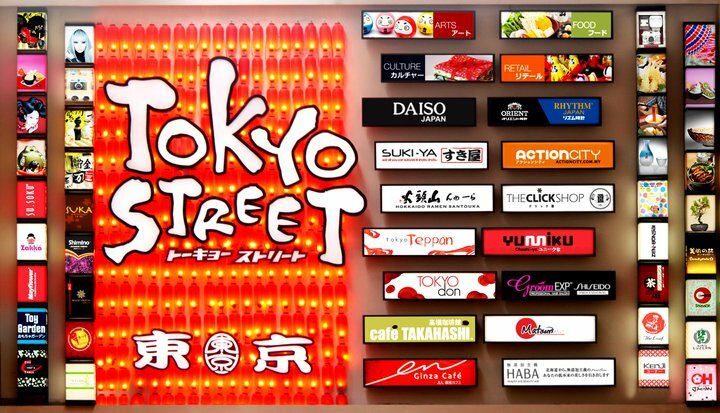 Some F&B outlets like Suki-Ya, Ochado, Mochi Sweets, En Ginza, Santouka Ramen, we have to eat the food or drink they served then only can get the answer. Last part, we need to answer some questions about Tokyo Street based on the fact sheets we were given and moshi moshi we learned some Japanese words from the Japanese speaking concierge person. Then, we have a chance at the Wheel of Fortune (Japanese style lucky draw). 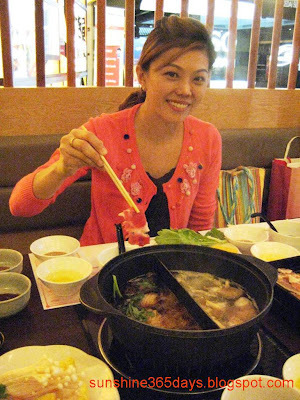 After the treasure hunt, we were treated to one of the restaurants at Tokyo Street for food review. Mine was Suki-Ya eat all you can hot pot restaurant. I really enjoy my long lunch savoring all the buffet selections at Suki-Ya. It was a great experience for me walking (not running) around and discovering Tokyo Street in Yukata. Stay tune for my food review at Suki-Ya. Tokyo Street is the lifestyle themed precinct feasting your five senses with authentic Japanese culture and indulged in a galore of dining and shopping experience. It is dedicated solely to Japan’s high fashion, gourmet cuisine and cutting edge home ware based on the extensive research done which revealed a rising trend in Japanese food, art and culture in Malaysia. 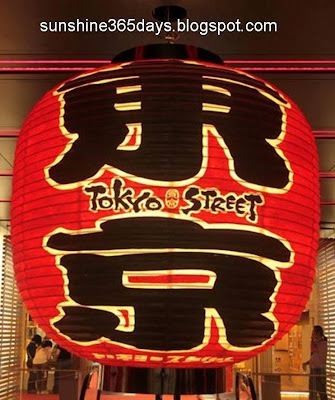 Inspired by Asakusa, a district in Tokyo that blends the urban cosmopolite feel with the rich heritage and traditions of Japan, Tokyo Street welcomes visitors with a giant lantern the same way as the iconic landmark of Akasuka — the Senso-ji Buddhist Temple. 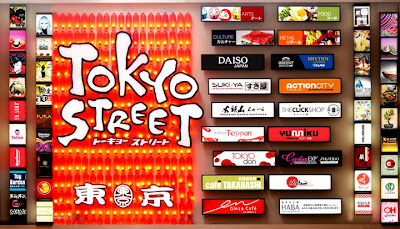 Tokyo Street, which has 41 outlets, promises shoppers a completely new shopping experience with a fresh vibrant mix of Japanese F&B, retail and services brands. JAPANESE TRADITIONAL COSTUME DAY on every 1st day of the month. Come to Tokyo Street dressed in Kimono, Yukata, Hakama, Happi or other Japanese traditional costume on the 1st day of every month to enjoy special privileges and Japanese Lucky Draw.